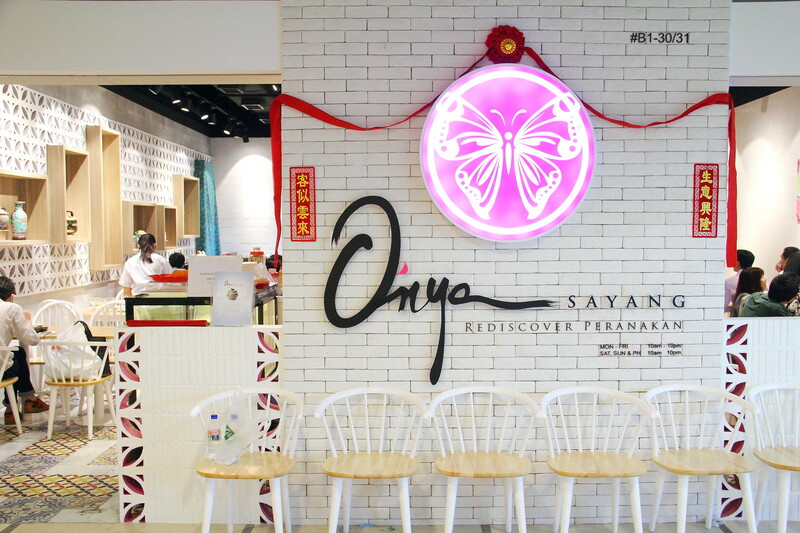 If not for opening of the new Paya Lebar Square, I would not have known about O'nya Sayang, a peranakan restaurant that started its flagship store back in 2011 at Tampines Mall by founder and chef Zan Ho. Coming from a Peranakan family, the young entrepreneur traces its roots back to the 90s when Mdm Khoo Pong Tee started her first Peranakan specific restaurant Dulukala. One thing I noticed at the Paya Lebar Square outlet is the offering of set meal. I think it is a smart move considering the office crowd around the vicinity. 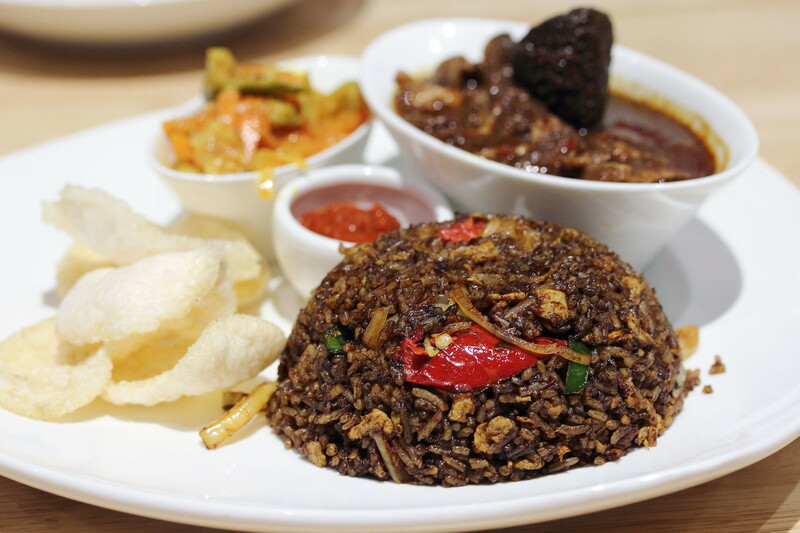 Take for example the Ayam Keluak Fried Rice Set ($14.90) is quite a valuable for money set with keluak fried rice, a bowl of chicken keluak and achar. The chicken keluak was pretty good with the chicken infused with he acquire and nutty flavour of keluak. The achar was pretty good too. Unfortunately the fried rice was lacking the unique fragrant flavour of the keluak. I have had better one elsewhere. 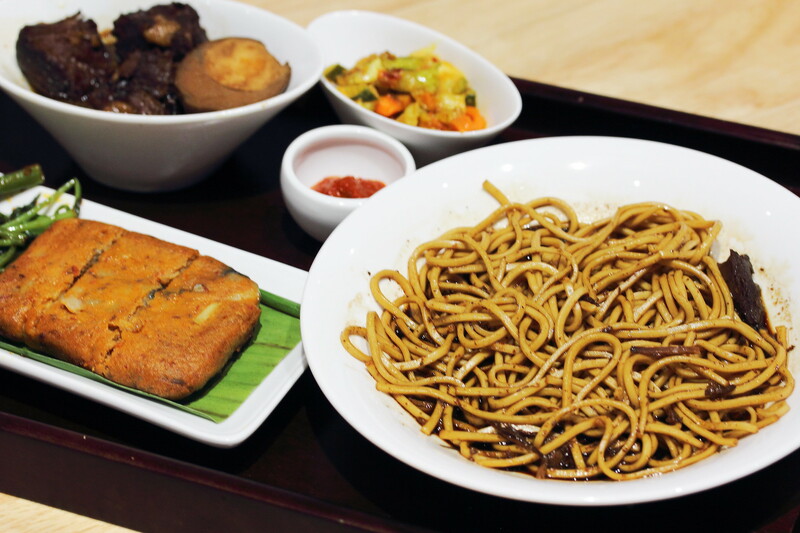 Another of the many sets available at O'nya Sayang is the Lor Bak Noodles Set ($12.90) that comes with a plate of noodle, achar, lor bak and otah. I find this extremely value for money. The lor bak was braised and cooked to a nice tender. It was a delight biting into the otah that comes with chunky fish meat. 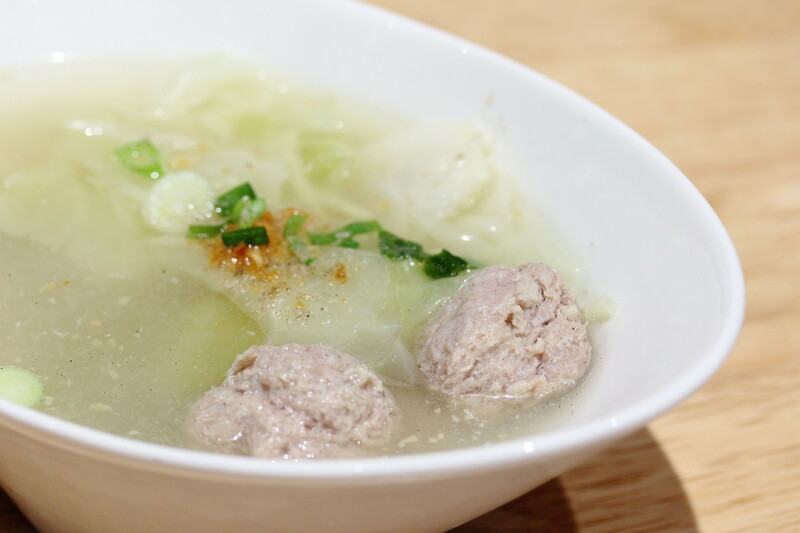 Next is the Bakwan Kepeting ($12.90) or Homemade Crab and Pork Meatball Soup. The meatball was really good, firm but yet moist. However I thought the soup was lacking the natural sweetness of the cabbage. I tasted a lot of seasoning instead. The highlight among the dishes I tried has to be the Chap Chye ($10.90). 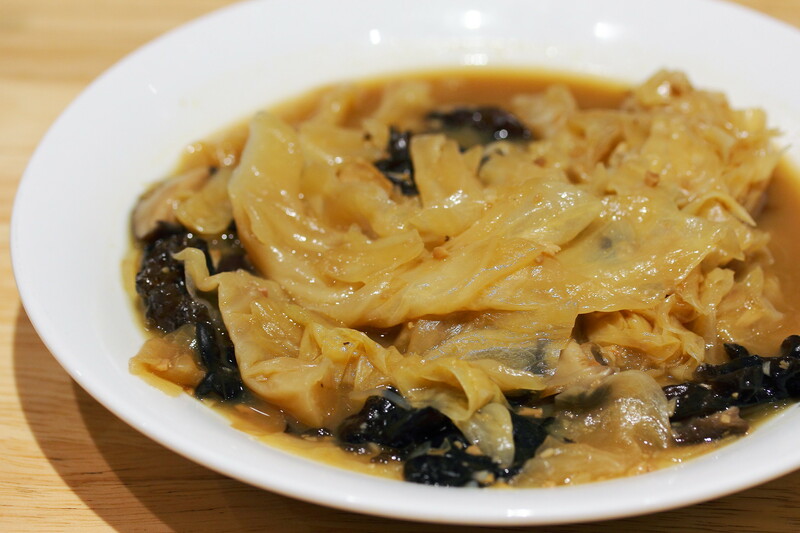 Cooked using fermented bean paste imported from Malacca, the vegetable has an acquire sweetness that I really enjoyed. The vegetables were also cooked to a delectable softness but yet still retained a crunch. 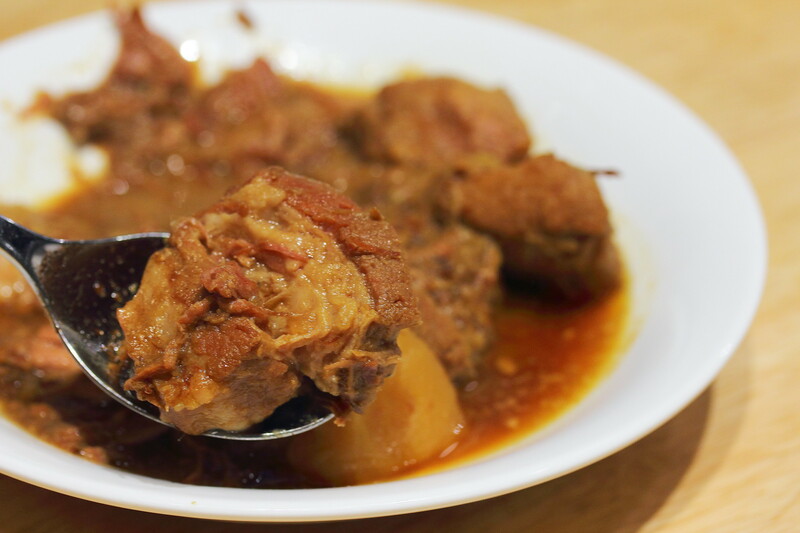 Babi Pongteh ($13.90) is another dish that I will usually order whether I visit any peranakan restaurant. The lighter in colour appearance suggested that the version here is lighter in flavour compare to some I have tried. This brings me to wonder what is authentic? As it seems every household has their own version. Back to the food itself, putting aside the lighter taste, the pork belly literally melted in the mouth. I personally do not like the concept of the Beef Rendang Bread Bowl ($12.90). I find it too troublesome. 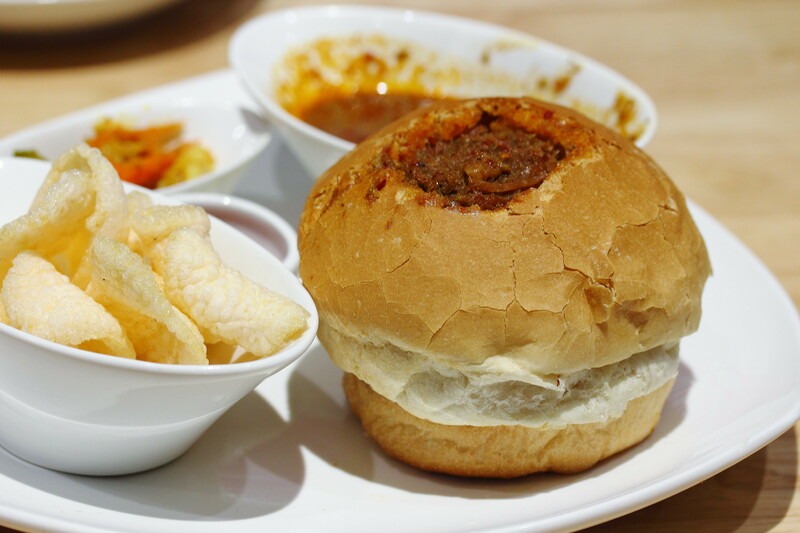 The beef rendang is stuffed inside the bread bowl and baked. Hence the rendang has became dry inside the bread. That is probably why a bowl of gravy is served on the side. I rather keeping it simple with the rendang in a bowl as the bread as a side for those who wants to dunk it to soak up the delicious gravy. 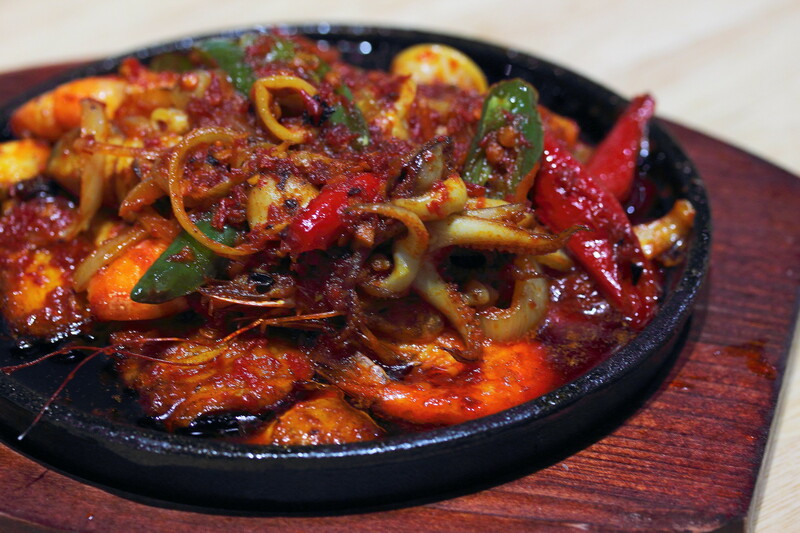 Moving on to something more spicy is the Sambal Seafood ($17.90). While it may look greasy, it did come with a nice spicy kick, bringing out the fragrance of the spices. However the seafood was not of the best quality but this is understandable to keep the pricing affordable and reasonable. 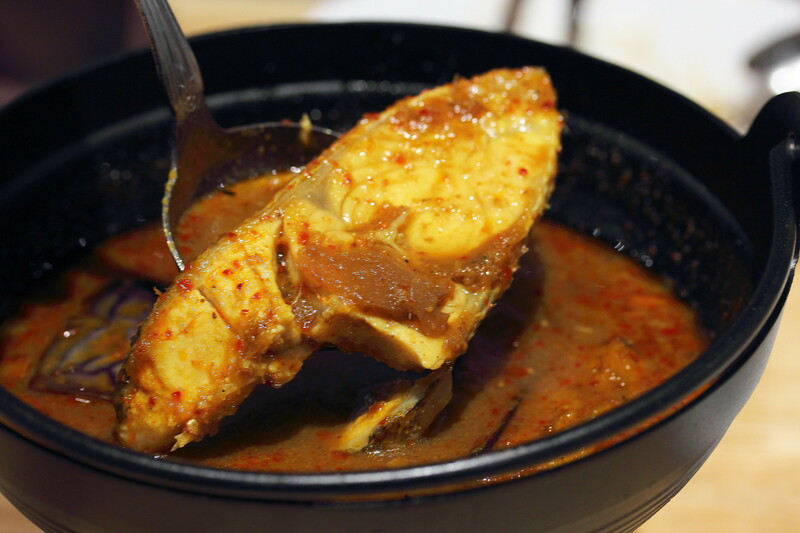 The other spicy dish on the menu is the Assam Fish ($16.90). As I can take spicy, I did find the gravy too sweet. It was lacking that punch that will make one breaks into a sweat. Nevertheless, the fish was moist and goes well with the assam. How can we not try the desserts before leaving the restaurant. 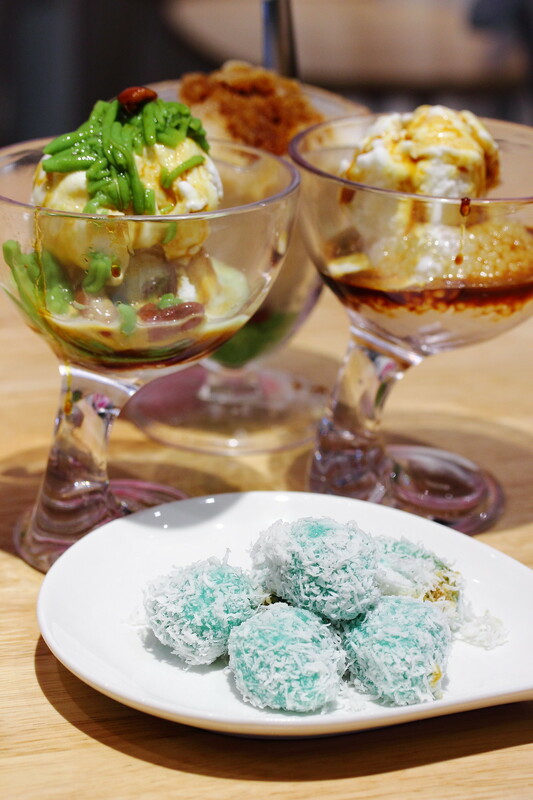 We tried a couple of desserts on the menu such as the Oneh Oneh, Chendol ($4.90), Sago Gula Melaka Ice Cream ($5.90) and Chendol Ice Cream ($5.90). 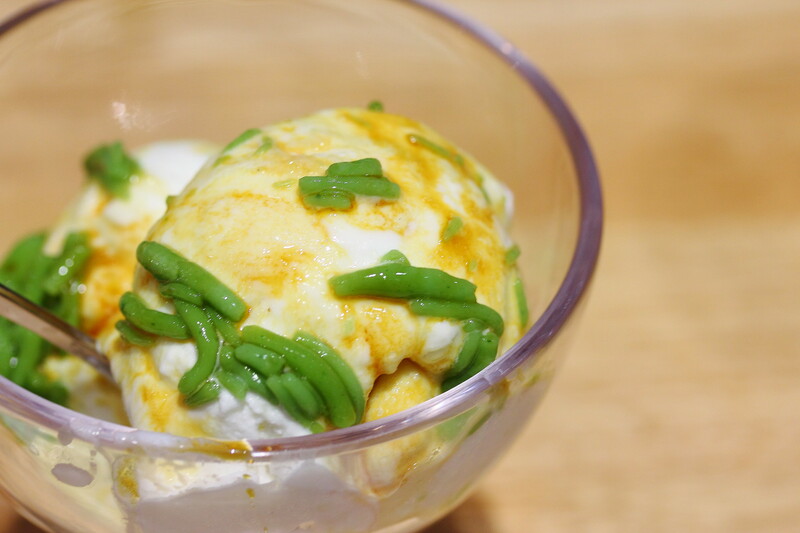 Most memorable for me is the Sago Gula Melaka Ice Cream and Chendol Ice Cream. Using premium coconut ice cream from Thailand, these are the two desserts I would highly recommend. I couldn't say O'nya Sayang serves the best authentic Peranakan food but it definitely serves some affordable and reasonable priced set meal. I think it is s a smart strategy by the restaurant. I would recommend having the lor bak noodles set, chap chye, babi pongteh, finishing the meal with the sago gula melaka ice cream and chendol ice cream.